Generally making their appearance in the spring, there are more than 2,000 known species of spiders living in Australia, with almost a million more waiting to be discovered. Common spiders found here include web-spinning St. Andrews Cross; garden, araneus and golden orb weavers and brown house spiders; and hunting spiders such as huntsman, jumping, trapdoor, black house and wolf spiders. Dangerous spiders include redback, brown widow, funnel web and white-tailed spiders. Unlike termites, cockroaches and ants, spiders do not pose the threat of infestation. Because they are preyed upon by disease, fungi, worms, insects, birds, fish and reptiles, most spiders die before reaching adulthood. Their most effective defence is to remain hidden or camouflaged during the day, which is why you rarely see them. This, combined with the fact that they do not rely on human food to survive, are the main reasons spiders aren’t as much of a nuisance as other pests. However, any spider regardless of classification can and will bite if touched and these bites can produce itchy rashes or life-threatening reactions. Therefore, it’s important to be cautious around enclosed spaces. To effectively treat a spider bite, it is helpful if you can identify what type of spider bit you. 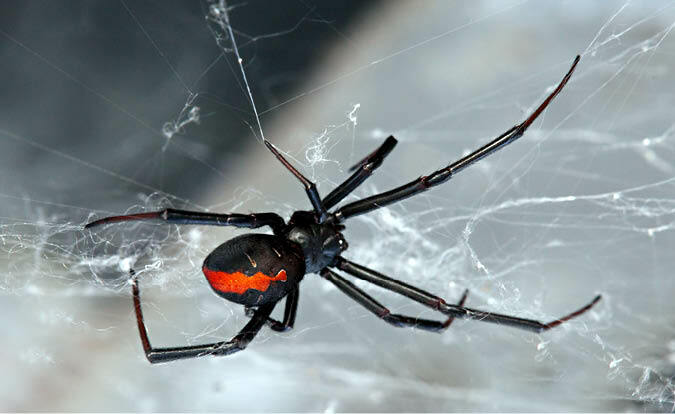 Most spider bites cause only minor symptoms such as short-term pain and redness, but some, such as a bite from the redback and funnel-web spiders, require medical attention. Clean the bite thoroughly with soap and water and apply a cool compress over the bite. If bitten on the arm or leg, elevate it to lessen the venom’s spread. A Tylenol or other pain reliever will help reduce pain. While you can usually handle a single spider on your own, there are occasions that require a professional. If you choose to seek the help of a pest management specialist, it’s important you do not clean down the webs prior to treatment so the type of spider can be identified and the appropriate treatment used. Once the treatment has been applied, leave the web alone for several days to allow the chemical to do its job.